Naturally the first thing on the list for building a homestead is the land, housing and out buildings. 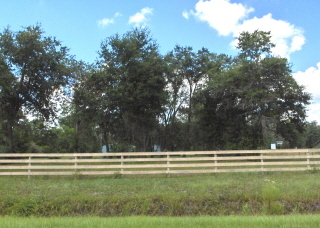 Our homestead is located in Lake County, Eustis, Florida. We choose this area due to the yearly weather conditions and availability of affordable land in a country setting. Keep in mind that "As We Go" Homestead is very, very low budget. Most of life savings were invested in purchasing the property. I figure if we can do it, anyone can do it!! Here in Central Florida affordability of land is relative to the distance to the Orlando area. 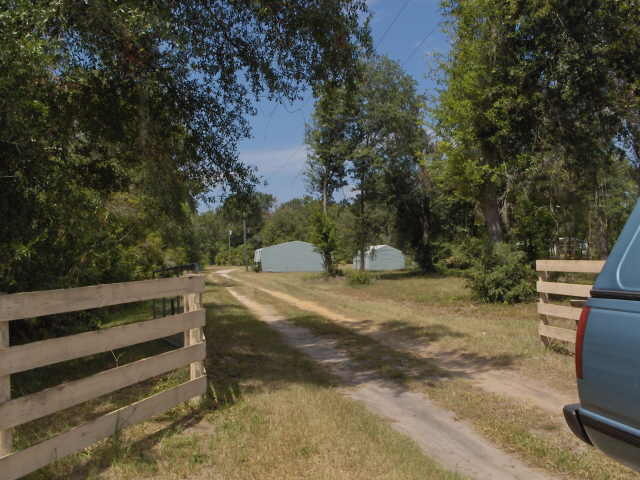 Though we purchased land in a rural community already zoned for livestock we are still relatively close to Orlando which did put our purchase price a wee bit higher than we originally planned. After a year or searching listings, driving to look at "good deals" that turned out not so good we were fortunate to locate the 5 acres we now call As We Go Homestead. We finally located the land parcel online through the ERA Listings. After our second look we immediately made a written offer to the seller. The land we purchased had, in the past, been used for agricultural purposes as there is existing irrigation systems to several areas that we have not yet tested and gotten functional. More on the subject of repairs later. We were happy to see this though as irrigation is cheap and easy to repair and restore. With us it was imperative that there be adequate housing existing on the property. Again we were fortunate. Though small to some , we found manufactured housing already on the site to be in exceptional condition needing mostly cosmetic attention. With a few minor structural repairs and new interior paint we were ready to move in and be quite comfortable. Next and of equal importance is the condition of outbuildings for storage and workshop space. Again there were two perfect commercially built buildings with electric and water already on the property. As we intend on having a variety of crops at As We Go the amount of cleared land was not essential but a bonus. I recently helped a friend clear 15 acres of wooded land I really was happy that most of our land was workable and the remaining have native plants that may be marketable as income. All in all we find the property perfect. of the Five acres nearly three are cleared for regular mowing and next spring's gardens. The back two acres are wooded that have been bushed hogged. All land is "high and dry" which is very important here in Florida. There are a few basic recommendations we would make to any potential land buyer. Walk the entire land before you make an offer. Don't just stand in the front and look to the back of the property. If possible visit the land during a period of several days of rain and again walk the entire property. You would not believe the surprises one can get buying land in the dry season and seeing it flood during the rainy season. Especially here in Florida. If there is a house on the property examine it closely. Look under sinks for water leaks, crawl underneath and look at the plumbing and insulation in the floors. If there is an attic crawl space look there too. Be especially aware of heat/air conditioning duct work leaks and drain line leaks. Run the central heat and air through both modes. Test all appliances. Examine and test all windows and windows and exterior doors. Our seller paid for a 12 month repair or replacement policy on all our major appliances including heat and air. Check the well operation, water quality and water pressure. Inquire about the septic system and inspect if you suspect problems. Check fencing condition, outbuilding conditions etc. All in all we find the property perfect. the Five acres nearly three are cleared for regular mowing and next spring's gardens. The back two acres are wooded that have been bushed hogged. All land is "high and dry" which is very important here in Florida. You can pay a professional to inspect the property prior to sale but that would be expensive and most sellers don't want to incur the cost. It didn't fit my budget so I put on my old flight suit and crawled around myself. This was an asset to my offer being accepted. The previous offers wanted the seller to pay for inspections whereas I was willing to waive inspections.